Zapdos, the Legendary Lightning Bird of Gen 1, is returning to Legendary Raids from September 13 to September 20, and you could get a Shiny! Zapdos first appeared shortly after Legendary Raids were announced in the summer of 2017. 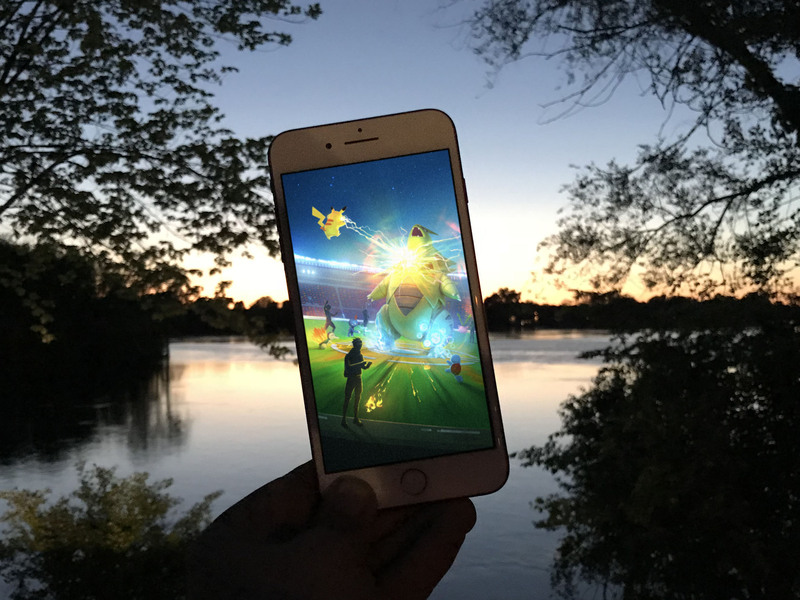 It's returned several times thereafter, including in additional Legendary Raids, as a Field Research Breakthrough Reward, and for its own Zapdos Day Bonus following Go Fest Chicago. Now, Zapdos is back again, but just for one week. Here's how to beat it and maybe get a Shiny! Stardust rewards will be over, so it doesn't look like it right now. So we can get a charge out of him. No? Ugh. Yeah. Sorry. First, starting September 13 at 1:00 P.M. (PDT), Trainers all over the world will be able to encounter three Legendary Pokémon originally discovered in the Kanto region!. Articuno, Zapdos, and Moltres will appear in Raid Battles until September 20. And if you're lucky, you may be able to encounter their Shiny forms! How many players do you need to beat Zapdos? It's theoretically possible with two people, but both would have to be high level, have high-level Smack Down Tyranitars and Stone Edge Golems, and have the weather and friendship bonuses. Three people should be fine regardless of weather, again with high-level Smack Down Tyranitars and Stone Edge Golems. What are the best counters for Zapdos? Tyranitar with Smack Down + Stone Edge (if you managed to score them during the June Community Day). Golem (incl. Alolan) with Rock Throw + Stone Edge. Rayquaza or Dragonite with Dragon Tail + Outrage. Mewtwo with Confusion + Shadowball. Having at least two teams set up, a primary and a backup, can help you get back in quickly if you faint out, or still have strong counters if you forget to heal up between Raids. What's a 100% perfect Zapdos? Is Shiny Zapdos still available? Absolutely. Pokémon Go has already confirmed it. Hopefully, it'll be the same 1/19 rate used for the Legendary Raid Days. Otherwise, the 1/19 for usual Legendary Raids. But, since everything is random you may get it right away or not at all. Yeah, pure randomness is still terrible. Also hopefully, Shiny Zapdos will have the same 100% catch rate as other Shiny Legendary so, if you do encounter one, a Pinap Berry will nab you even more extra candy. What's the best moveset for Zapdos? Zapdos is a mixed blessing. It has better stats than any previous Electric-type in the game... but it doesn't have access to movesets that would really push it over the top, like Raikou does with Wild Charge. Best Movesets: Charge Beam + Zap Cannon. It'll still light up water types. Zapdos has been available before, right? Right. Zapdos was the last of the Legendary Birds unlocked following the original Pokémon Go Fest Chicago 2017, and has popped back into Raids in the past as well as been available as the Field Research reward for May, 2018. Zapdos is one of the Legendary Birds of Gen 1, originally discovered in the Kanto Region. In Pokémon Go, it's also the symbol of Team Instinct. Any Zapdos or Legendary Raid questions? If you have any questions about Zapdos or Legendary Raids, drop them in the comments below!